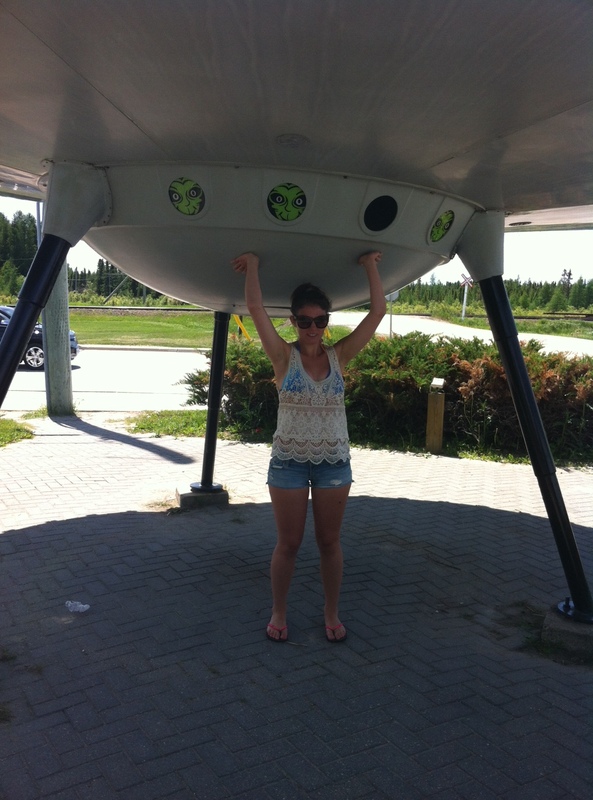 More pictures from my trip to Kapuskasing! Yay! 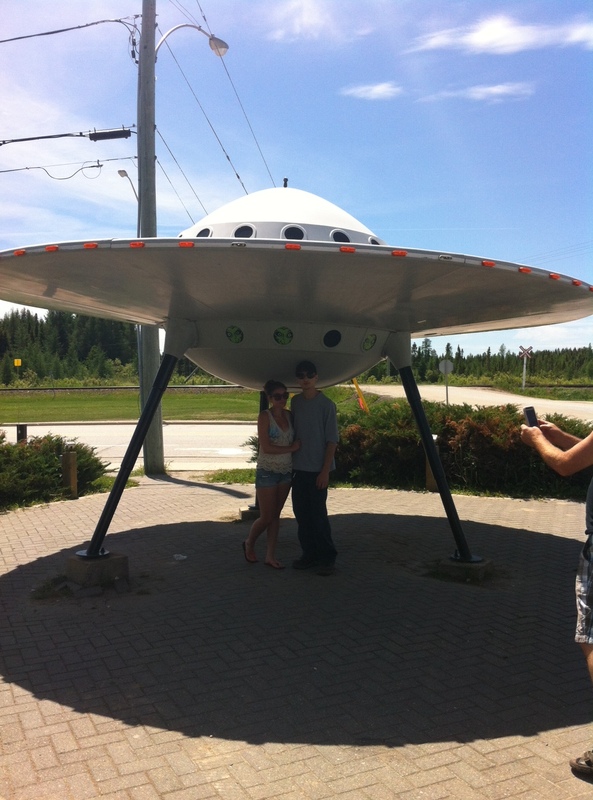 While we spent the majority of our time at the cottage we did venture into Moonbeam for some photos with the spaceship. As you can see we are not photogenic people but enjoy nonetheless! 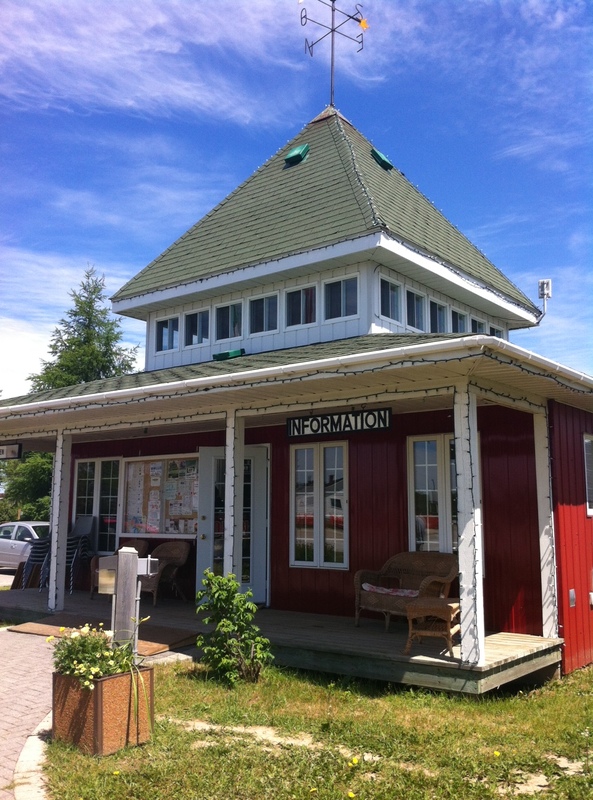 First here’s the cute little information building, it’s pretty darn adorable for a piece of architecture. 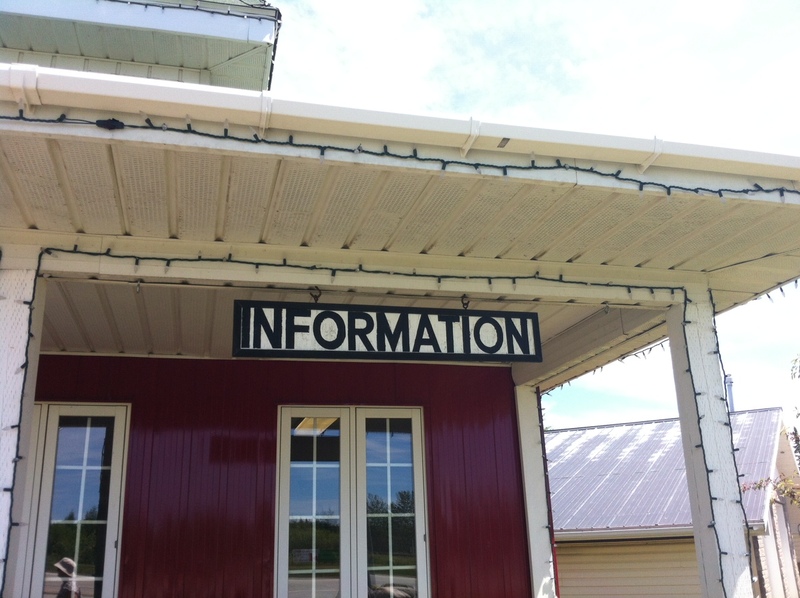 Plus it adds to the small town feel. Now the spaceship!! There’s even little aliens in the windows. There is an alien theme all through town it’s very weird, but cool at the same time.